Regression Analysis and Its Application: A Data-Oriented Approach answers the need for researchers and students who would like a better understanding of classical regression analysis. 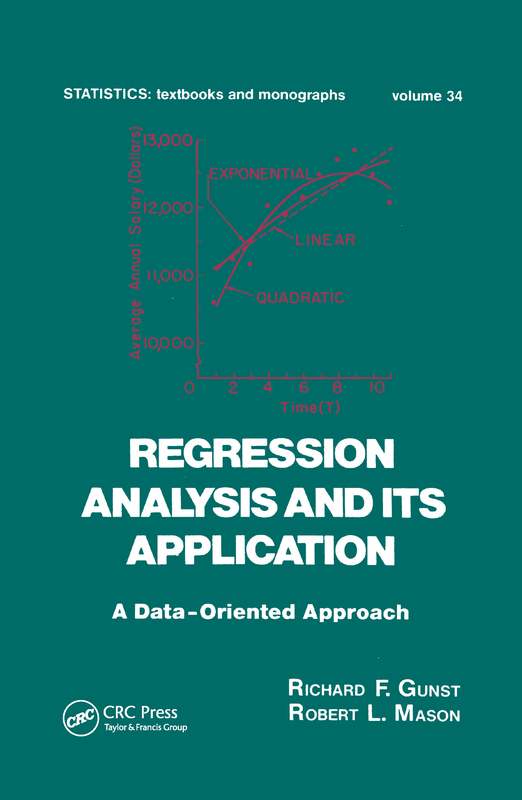 Useful either as a textbook or as a reference source, this book bridges the gap between the purely theoretical coverage of regression analysis and its practical application. The book presents regression analysis in the general context of data analysis. Using a teach-by-example format, it contains ten major data sets along with several smaller ones to illustrate the common characteristics of regression data and properties of statistics that are employed in regression analysis. The book covers model misspecification, residual analysis, multicollinearity, and biased regression estimators. It also focuses on data collection, model assumptions, and the interpretation of parameter estimates.Complete with an extensive bibliography, Regression Analysis and Its Application is suitable for statisticians, graduate and upper-level undergraduate students, and research scientists in biometry, business, ecology, economics, education, engineering, mathematics, physical sciences, psychology, and sociology. In addition, data collection agencies in the government and private sector will benefit from the book.